The University of Karachi was established through the parliament as a Federal University in 1951. B. A Haleem was its first Vice Chancellor. After two years of the establishment, it started its teaching and research activities in Arts and Science faculties, opened with an initial intake of 50 students. University is now a spreading structure of 53 Departments and 20 world class and highly reputable Research Centers and Institutes in various faculties. 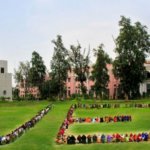 Now the University is known as a foremost center of learning and research in the Subcontinent. Many of scientists and teachers affiliated with the University are working in important positions. It is one of the institutes of who has got the distinction of being made the Centre of the Third World Academy of Sciences. Due to its quality of education and research standards, a large number of students from Karachi and other parts of the country apply for admission here. Due to the observation of the high number of applicants, the University has started evening classes in several departments at BS and Masters Levels. There are over 52 departments and 19 research institutes, which are imparting education to more than 24,000 students from all over Pakistan as well as from foreign countries. Above 700 highly qualified and experienced teachers working in the university many of them have obtained higher degrees from abroad and non-teaching staff comprises more than 1700 people. About 145 colleges and institutions are affiliated with the University. The courses of studies are approved by the Karachi University and all the examinations are conducted under its sponsorships. The University conducts examinations of all those students studying in these colleges/institutes, prepare their results and award degrees. To provide quality student service which says to students, “We care and we deliver”, in the area of registration, tuition assessment, and academic records, and to ensure the confidentiality and accuracy of student records. To demonstrate the University’s commitment to the thoughtful treatment of its students, past, and present, through the timeliness and accuracy of the transcription system. To make schedules of class and examination, and to ensure that the condition of the classrooms meets the needs of quality instruction. Assist the faculty in its teaching through the administration of the teacher assessment process. Bachelor and Master Admissions 2017 in University of Karachi are now open in Programs of Post graduate and undergraduate, so all those candidates who want to be a part of the Quality education can submit their admission application form till 12th July, as this is the last date to submit the application forms and all those application forms that are received after the last date or incomplete would not be entertained in any of the case. It is the biggest University of the Karachi, so every year thousands of students want to take admission in this University. Every single staff tries to provide the complete knowledge of his whole career by coming to the students understanding level. Well when admissions in the University is announced, thousands of application form are received by the official so to shortlist the students UOK conducts an entry test for admission which decide that candidates are eligible to take admission in this University or not. All the admissions will be strictly allowed after the result of entry test as this entry test is the only way to take admission in the University of Karachi as the big part in the Merit list display by the official, so candidates who are willing to take admission in the UOK must have to clear the entry test taken by the University. Entry Test date for the admission in UOK is not announced yet officially but as soon as it will be declared this page will provide you that information too. Now it is the time to submit admission form firstly, to get admission in the University. You can get admission form from the UBL Bank Karachi University Branch and the timing of bank is from 9am to 4 pm. Applicants who want to apply in these Departments are required to submit Entry Test Form to appear in the Entry Test otherwise they will not be able to get admission in the University. The amdissions forms of BA/B.com, MA/MSC etc can be obtained from the official website of the university. Furthermore if you have any quiry regarding the admissions in University of Karachi or have some problem, please leave a comment below. Last Date to Submit Application Form is 12th July, 2017.